When Facebook comments brew trouble. Trump-related trouble. If you think being on the other side of the world, in a different hemisphere and a national population the size of a small American town would protect you from Trump’s fans: You’d be wrong. That was the lesson one Kiwi company found out recently when their Facebook reviews were hijacked by a bunch of Trump lovers. “Why would a bunch of Trump lovers do that?” You may ask. And that would be a very valid question. The answer to which is: The company is Behemoth Brewing Company and they made a beer called Dump the Trump and posted about it online and then Trump supporters saw it and did not like it. Did not like it all. Brewery owner Andrew Childs told the NZ Herald he never thought the beer would attract such attention, but while it was “entertaining” the overall rating did bother him. Just like the Trump supporters were swarming to neg the beer and the company, a number of Kiwis who have actually tried the beer have been writing their own reviews on Facebook, in support of the craft brewery. “We have seen our fans come to defend what they do and the beers they love drinking. We are not too worried as the beer speaks for itself,” Childs said. At last count, there was more than 2000 five star reviews for the company. The whole ordeal reminded us of the catch-22 of peer reviews for social media marketing. Sure, testimonials have long been bandied about on businesses’ websites to prove their prowess, and people have trusted in word-of-mouth reviews as long as we have had mouths and words. 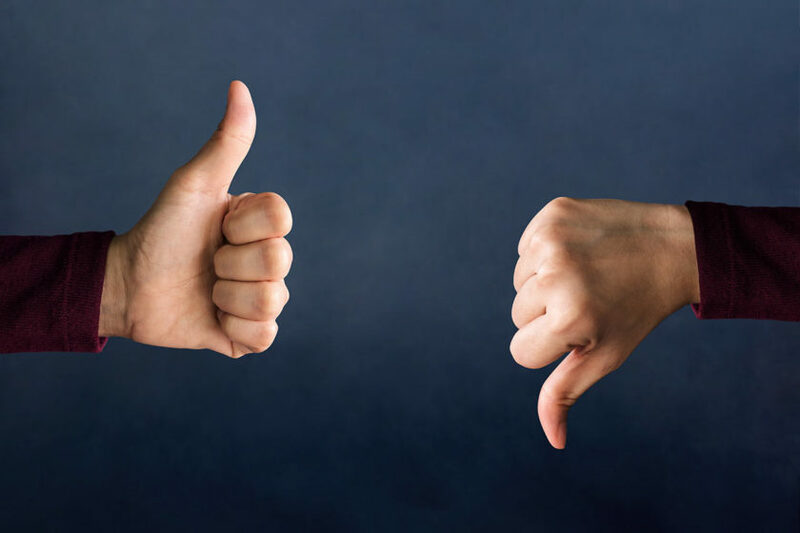 But in the online age of social media, peer reviews have, well, quite mixed reviews. Everyone knows the trials and tribulations of review sites like Tripadvisor – where results can be manipulated by fake and disgruntled reviews. Everyone also knows how if you’re unhappy with a business, sometimes commenting publicly on their social media is a great way to get a fast result – or at least a response. From a social media marketers perspective, reputation management is extremely important and at Mosh we think monitoring your reviews is a key part of this. While it’s hard to have a precise strategy for an irate bunch of Trump supporters, it can be easy to have a more general plan of attack. A recent article in Forbes summed this up well by saying, “It’s a good idea to respond to reviews and comments. You always want to address complaints even if it’s uncomfortable to do so. Not all negative reviews are fair or even rational. Some are written by impossible-to-please customers. “Others could even be placed by unscrupulous competitors. In some cases, you can point out that you have no record of a customer’s order. Never get into arguments with customers. No matter how rude the comments, always respond in a reasonable manner. Remember, you’re a public business and have a lot more to lose than a relatively anonymous customer posting a review. Previous PostThe next generation of “engagement”.Next PostFacebook’s new dating service is official – could it get complicated?